So often I see birds in pairs. Today, by the river, it was ducks. I was amused and delighted to watch the behaviour of pair of wild Chestnut Teals as they searched the sandy shore for food. 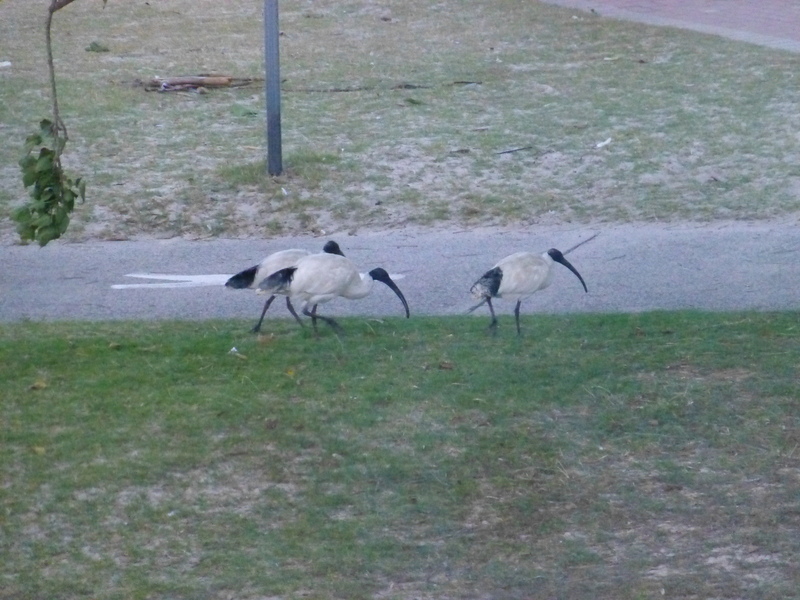 But of course, this photograph is of something quite different: a pair of Australian White Ibis. These are scavengers. Look! There’s a Flock of Ibis near Ramsgate Beach! I guess that, for those who frequent the Botany Bay foreshores, Ibis are not an uncommon sight. Most of my recreation time is spent in our local bushland park, so when we travel to Ramsgate and other places on the Botany Bay foreshores, the sight of Ibis is a novelty and a treat. They are elegant birds and quite impressive, though people say they are scavengers. I like to look at their most positive attribute: their graceful appearance. Birds fascinate me. I love to watch them flying, gliding, nesting or just strutting around. 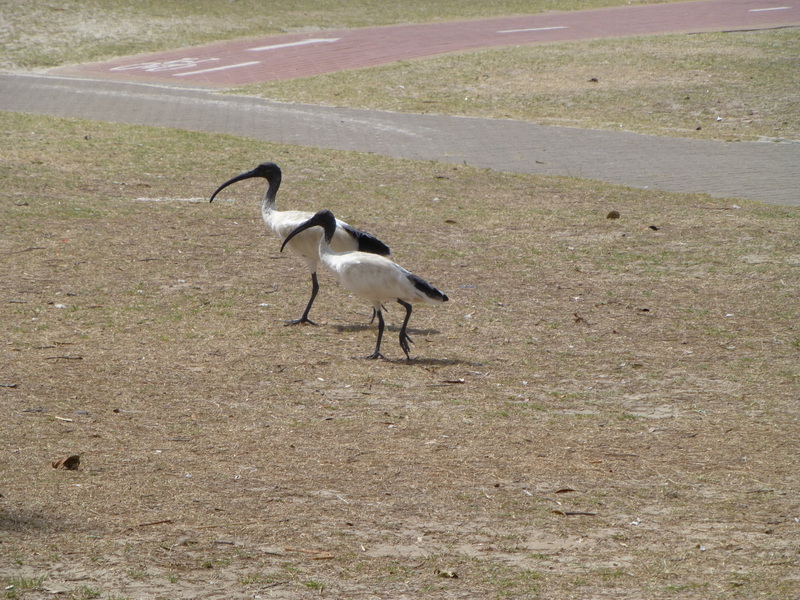 This pair of Ibis seem to be enjoying themselves on the grass beside a Botany Bay Foreshore beach.